Inflation in Russia hit 9.6% at the end of February—nearly double the rate posted in summer 2010—the country’s central bank finally responded, raising base interest rates by 0.25% and boosting the required bank reserve ratio. With public opinion surveys showing that rising prices top both unemployment and terrorism as the single greatest concern of the people of Russia, inflation moved to the top of the political agenda as well. Prime minister Vladimir Putin asked the government to rein in fertilizer prices. Fuel prices came under highly public regulatory pressure, and food retailers and producers are widely thought to be the next likely target of regulatory and political pressure—if food inflation continues to rise. In a related move, the central bank also widened the floating band within which the ruble is permitted to trade, a move that was widely interpreted as signaling official acceptance of continued ruble appreciation. It was also a small step in the direction of the stated long-term goals of shifting toward inflation targeting, instead of exchange rate targeting, and toward allowing the ruble to float freely. 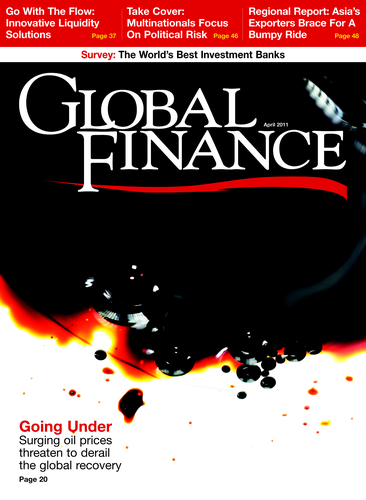 Finance minister Alexei Kudrin in late February, in a rare and forceful political statement, sharply criticized Russia’s political system, contending that it limits economic reform, hampers growth and hurts the investment environment. 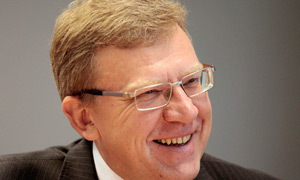 The highly respected—and generally apolitical—Kudrin was probably aiming to reinforce his continuing efforts to impose fiscal discipline through spending restraint, as well as trying to highlight the relationship between economic reform and modest political change. Putin the following week politely endorsed Kudrin’s words, although there are no signs that the rhetoric about political change will translate into action. Following the March 11 earthquake, Japan accepted an offer by Putin to increase Gazprom’s natural gas supplies to make up for the energy shortfall stemming from damage to the country’s nuclear industry. More broadly, Russian steel and metals companies stand to benefit from increased demand once the rebuilding effort in Japan gets under way. There will likely be a substantial toning down of recently escalated rhetoric between the two countries over the ownership of the disputed Kuril Islands, which will benefit the overall tenor of relations.